We see people damage their lawns on a regular basis. What could be a beautiful lawn ends up looking drab and needing extra water or fertilizer (or less fertilizer) because it is not cared for properly. 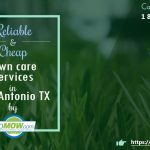 We mow grass in a lot of areas, including Austin, Dallas, Garland, Irving, and Plano and we see a common mistake that makes it difficult to get a great looking lawn. Most people typically take off more than one-third of the grass height at a time. 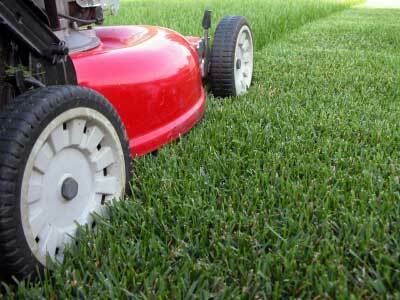 Remember the One – Third rule: never cut off more than about one third of the grass. If you do, you will damage the grass and cause problems for yourself. Shorter Grass Demands More Water: Not using the one-third rule increases moisture and nutrition demand as the grass fights to survive. Proper grass length enables the grass to create its own food. If you cut off too much grass, it can’t properly create food through photosynthesis. This means you won’t have a healthier and ultimately more disease and draught resistant lawn. Cutting your grass too short exposes the soil to direct sunlight increase the evaporation of the soil drying out the soil faster, driving up your water bill to accommodate this disadvantage. Grass height may depend on your region and ultimately the grass from that region (i.e. Austin coastal temperament versus Dallas, Irving, Garland, or Plano plains temperaments). Weeds tend to germinate more efficiently and at a much faster rate when taller grass blades aren’t shading them out. Typically what makes a mown lawn aesthetically shine is the evenness of the cut— not its height. Seek a Satisfaction Guarantee or some form based on your location (Austin, Dallas, Garland, Irving, or Plano) —The easiest way to do this is for the consumer to have access to Customer Service accommodating gates, pets, and any potential problem that might occur. Lawn mowing is more complex than most people think. 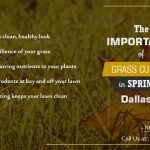 In order to have your lawn looking it’s best, there are a number of different things you must do to ensure proper growth. 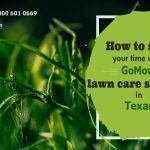 If you are in the Austin, Dallas, Irving, Plano or Garland areas and would like more information about local grass types and associated care, contact GoMow today!